We all are aware that Global Catalog contains Partial Attribute Set of objects in the Active Directory Forest. Any attribute that is commonly used by users, administrators or application qualify for being cached into Global Catalog. Some of the Active Directory Infrastructure can be very large in terms of domains and objects, and may have from few hundred objects to few thousands of objects. Therefore, to ensure quick and optimum Global Catalog responses only few attributes are cached in Global Catalog. 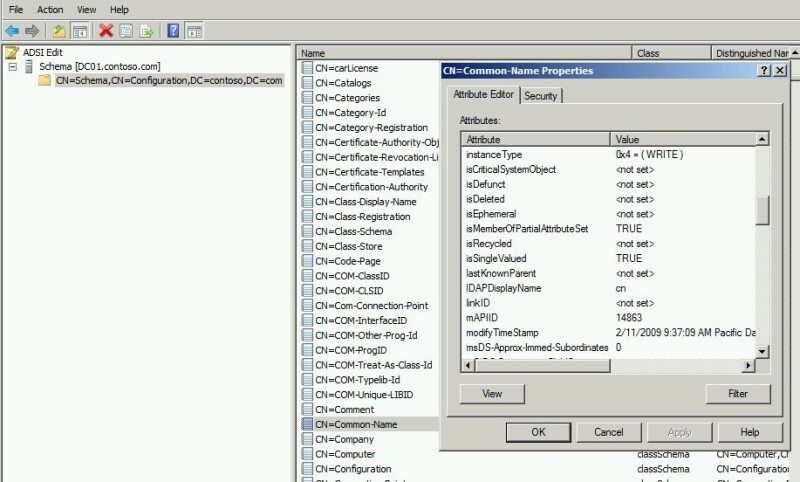 The Active Directory Schema has an attribute “isMemberOfPartialAttributeSet” that is mapped to all objects in Active Directory like Users, Groups, Computers etc. and queried while building and updating Global Catalog. To see Partial Attribute Set, launch ADSIEDIT.MSC and connect to Schema Partition. Open the attribute that you need & see if it is part of PAS. List of Partial Attribute Set in Active Directory.